Honda is working on an inline-four cylinder 250cc motorcycle. 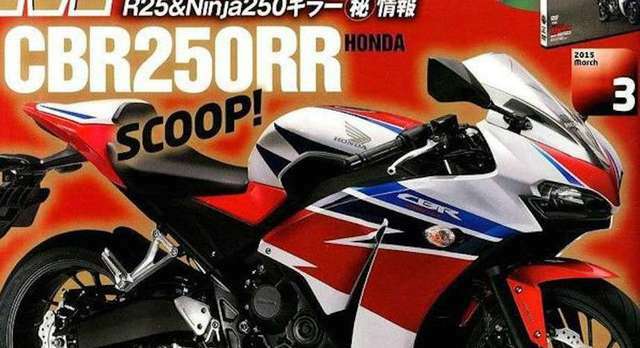 As per a report by Young Machine, this new quarter-litre motorcycle will be named CBR250RR. Honda has codenamed this bike as K64A and might get a V-Twin engine for it. The Japanese automaker used to sell the inline-four quarter litre motorcycle till 1996, however, it stopped producing the bike due to emission norms. With this new motorcycle, Honda wants to attract the consumers who are looking for an inline-four engine configuration in a 250cc motorcycle. As per the report, this new engine will produce close to 37bhp and 24Nm of peak torque. This mill will be mated to a six-speed gearbox that will transfer power to the rear wheel via a chain drive. Cosmetically, the bike is expected to look like the CBR300R but expect it to get few tweaks. The CBR250RR is also expected to get premium components like USD front forks. It could also be equipped with ABS as standard. While it is highly unlikely that this motorcycle will come to India, we expect Honda to launch the CBR250RR in markets where the Kawasaki Ninja 300 and YZF-R3 have strong sales. The CBR250RR might be unveiled at the upcoming 2015 Tokyo Motor Show.